Nokia Lumia 1520 is a 6'' 1080 pixel full HD display with excellent outdoor readability and redesigned start screen lets you make the most of the extra space.The Nokia Lumia 1520 looks like a big shiny slab of glass covered in a colourful frame. Now Nokia joining the league of the Sony Xperia Z Ultra and the HTC One Max. 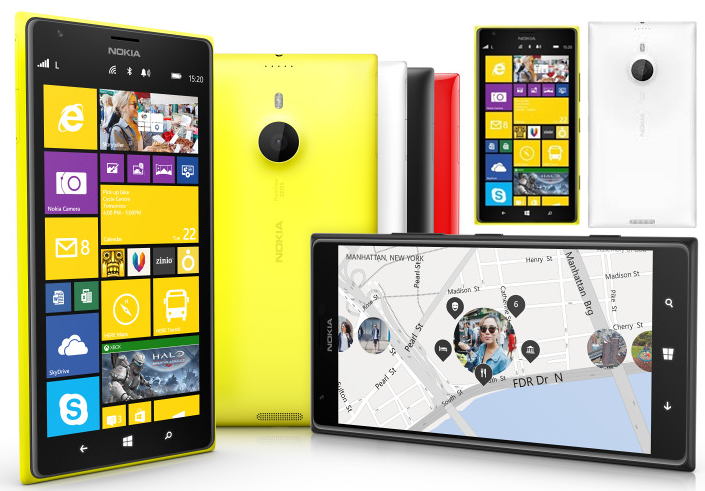 Lumia 1520 phone is certainly one of the largest available in the market at the moment. The Lumia 1520 is the first top-of-the-line Windows Phone device that brings the best possible components.The Lumia 1520 has only been announced on one US carrier, but it's widely available in other parts of the world. There are three different model numbers. Lumia 1520 sports a quality polycarbonate chassis.It is safe to say that the premium polycarbonate used in the phone's body is accentuated by the phone's matte finish. Nokia Lumia 1520 smart-phone edges are rounded but the corners are not curved, making the shell look more rectangular, giving the phone a sharp look. Nokia has deployed Gorilla Glass 2 on the lumia 1520 screen to protect the display against scratches, the three capacitive touch buttons for Back, Start and Search are placed below the display. It is important to know that the Lumia 1520 is the first Nokia phone and one of the very few phones (the iPhone 5, 5S and 5C being the other ones) to use a nano-sim. At this point, getting a nano-sim is more of a hassle, especially for people who swap their phones frequently and micro-USB port is located at the bottom edge while the 3.5 mm headset jack sits at the top, the big 20 Mega-Pixel camera lens slightly protruding out, and the dual-LED flash located right above it. WINDOWS PHONE 8 GETS EVEN BIGGER.